Apologies for the delay in updating everyone on the latest get together of the Hastings Vegan Dining Club. 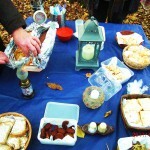 We met up at the organic, vegan farm of Denise and John near Rye, East Sussex for a Halloween early evening picnic in the woods. 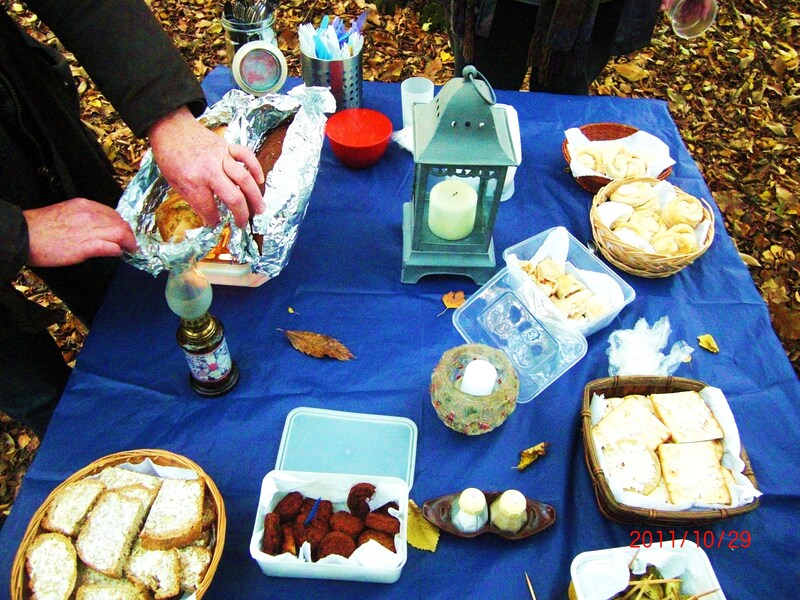 Our hosts created a magical setting in a copse with tables and chairs for us to be comfortable and different stations for the yummy appetisers, delicious winter stew and tasty desserts. As the night drew in and we enjoyed the meal and company, we were serenaded by owls in nearby woods hooting their pleasure of such a magical evening.